I mentioned Bob at Elco Welding. 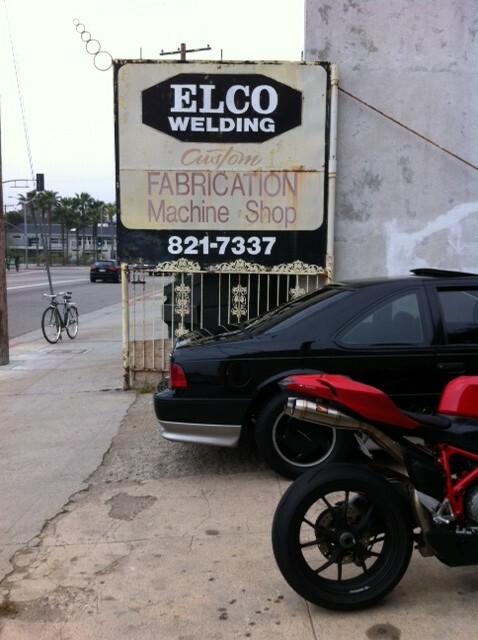 You would never guess that right there on Abbot Kinney and Venice Blvd is a welding shop two full generations old. A gear head/fabricator’s delight. I asked around at the bike shops for a good welder and no one could help me. One shop even said they were about to add that to their services. Then I saw Eldo while riding home. Heaven.